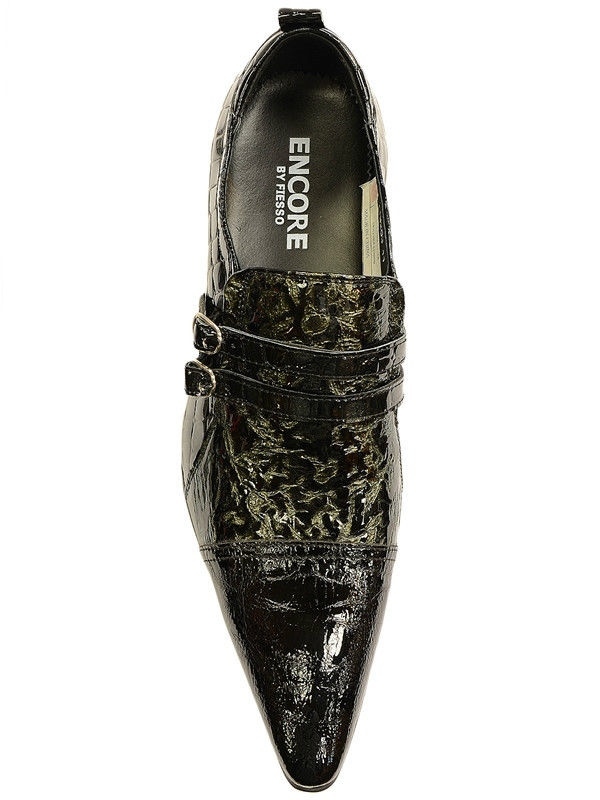 You'll turn every head in the room when you walk in wearing these black/green dress shoes from Encore. 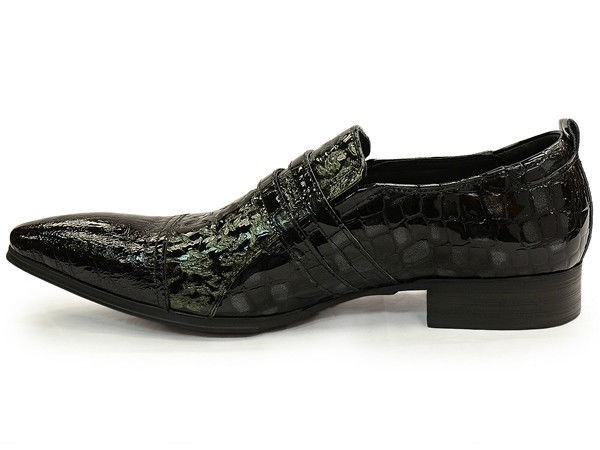 A loafer with an elongated, pointy toe, they feature a leather upper with glossy crocodile and leopard patterns. They have cap-toes and dual strap/ buckle details. Elastic gussets allow foe easy on, easy off. The ultimate showstopper, they'll add shine to any wardrobe.